A visit to Boston wouldn’t be complete without a tour of one of the oldest waterfronts in America. The best way to experience it? 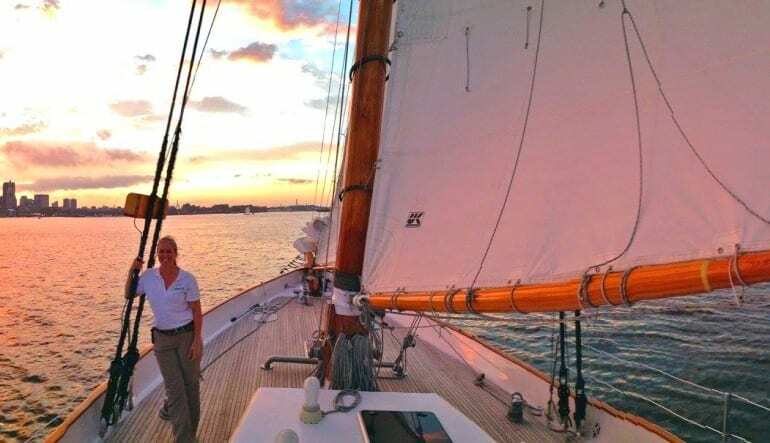 On a romantic Boston sailing adventure aboard a luxury schooner! 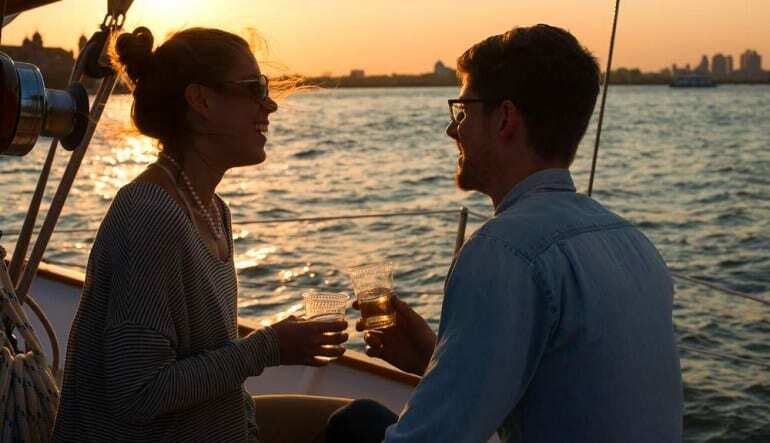 Your sunset sail begins as you cast off from Rowes Wharf in the heart of Boston’s waterfront, steps from the New England Aquarium and Quincy Market. Eighty feet long with a 16-foot beam, the ship boasts a sleek, low design inspired by nineteenth-century pilot schooners. It’s been upgraded and outfitted for modern sensibilities and offers a cut-above passenger experience. 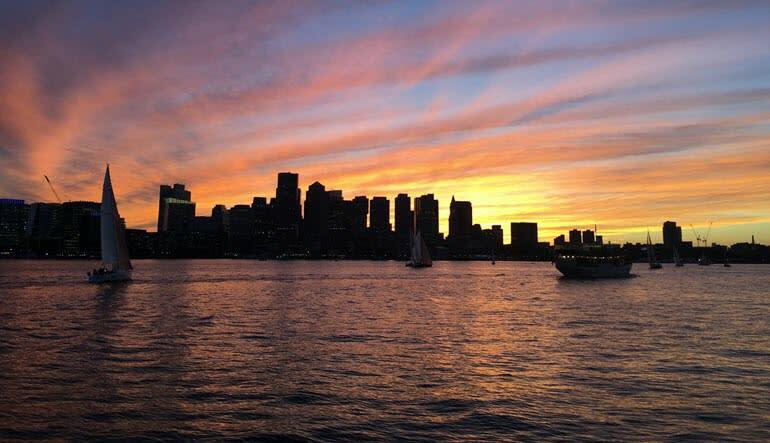 See the historic Boston waterfront landmarks and learn local history! Enjoy complementary non-alcoholic beverages or a glass of champagne. 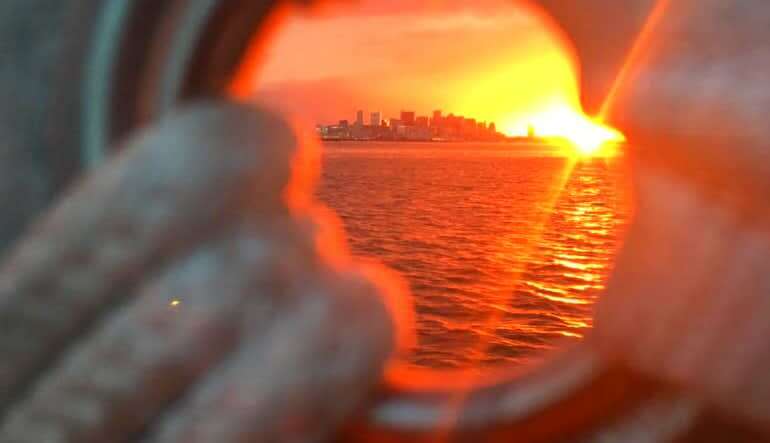 The romantic sunset views over the city skyline provides the perfect end to a day of sightseeing. Welcome aboard!